Inside: A handy collection of children’s rhymes, finger plays and action songs, sorted by theme. So many of the nursery rhymes and traditional songs we sing to our children have been shared between parents or teachers and children for hundreds of years. It really is impossible to know when the verbal sharing of the nursery rhymes we know today began but scholars claim the tradition has been documented back to the 16th Century. But why are children’s rhymes and finger plays so important? 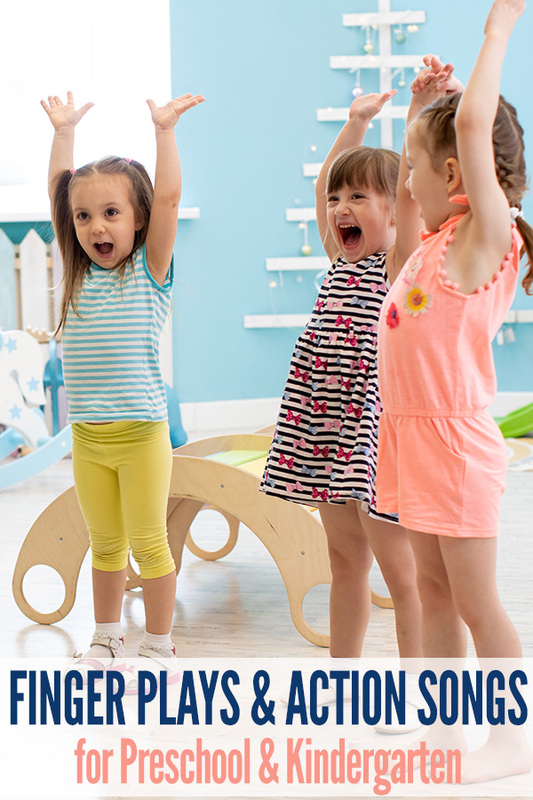 These simple children’s songs and rhymes introduce young children to vocabulary and language patterns such as rhythm, rhyme and alliteration, important as a foundation to later literacy learning. They help children to learn basic concepts such as letter names, colours and numbers and their simple movements develop co-ordination both hand:eye, and whole body. 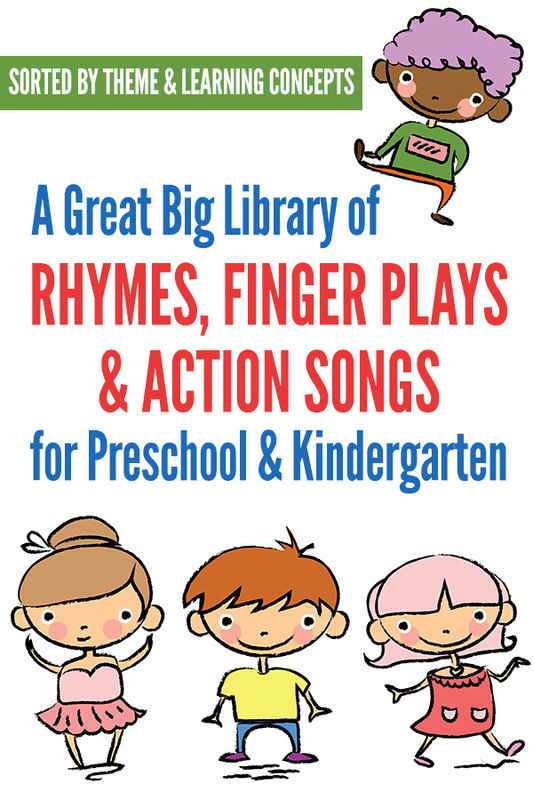 Plus the use of actions in finger plays and action songs is a great way to get the wiggles out when faced with a class of preschoolers or kindergartners! Did you know? The first nursery rhyme to be published in print is believed to be Mary Had a Little Lamb. It was published as an original poem by Sarah Josepha Hale on May 24, 1830, and is believed to be inspired by an actual event. As a girl, Mary Sawyer kept a pet lamb, which she took to school one day at the suggestion of her brother. Of course, this ended in the chaos and calamity of the song! Next post: 21 Sleepover Games for Kids: Have the Best Pajama Party Ever!